St Pancras Church in Pancrasweek (Pancraswyke) sits atop a hill not far from the river Tamar and visible as one approaches from the Bude direction. 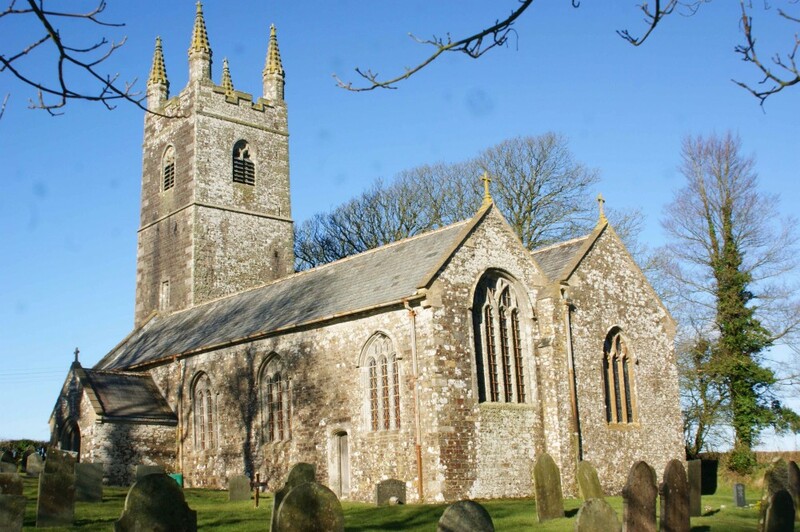 Pancrasweek is a rural community of about 70 dwellings, mainly farms, a village hall, but no village and it is one of the largest parishes in Devon. The building dates from around the twelfth century in parts, with later additions. It has a carved double roof in the wagon style, a Jacobean pulpit and a 12th century font. The tower has a peal of five bells. The church was re-roofed in the 1900’s but is in need of re-roofing in the next twelve months.